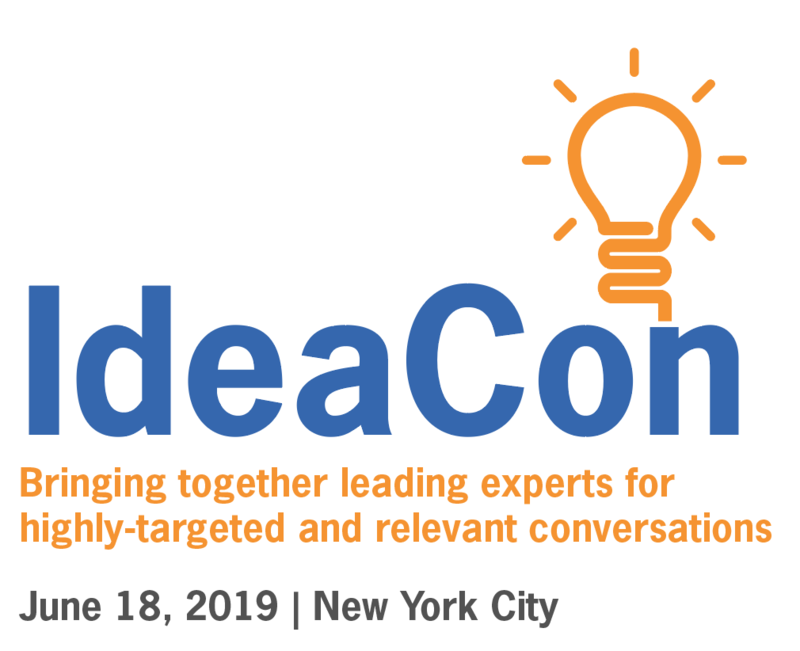 The Commercial Finance Association is pleased to introduce our new IdeaCon Executive Roundtable Event, taking place on June 18, 2019 in New York City. This much-anticipated and impactful gathering will bring together leading experts and professionals for highly-targeted and relevant conversations. Unlike other panel discussion format meetings, this focused deep-dive will feature peer-to-peer interactive conversations on relevant, high-impact issues moderated by leading experts. With six distinct tracks, a general session with a keynote speaker, a networking reception following the sessions and countless crucial conversations, CFA’s IdeaCon Executive Roundtable Event is sure to be one of the most productive and memorable industry events of the year. Our keynote speaker is Robert F. Wescott, Ph.D., President, Keybridge Research. Dr. Wescott’s “Town Hall Meeting” was a big hit at our 74th Annual Convention in November with many of his predictions now coming to fruition. We are thrilled to have him back to offer his take on the broad scope of factors impacting the macroeconomic environment and our industry. You can find out more about Dr. Wescott here. This conference is not merely an opportunity to network, it is your chance to connect and benefit from collective insights around the pressing topics facing our industry. *Register before April 29th and receive $70 off the standard registration fee! The Credit track brings together decision-makers and senior leaders in credit related functions (underwriting, appraisal, field exam, liquidation, portfolio management) to address the most pressing topics on everyone’s mind. From covenant trends to leveraging software to improve risk management, we’ll cover the key considerations and discuss strategies to address challenges and capture opportunities. The Executive Sales & Marketing track targets senior level managers to address crucial issues in the originations function. Small, roundtable conversations create an environment for you and your peers to share challenges, best practices and successes. Paul Schuldiner, Executive Vice President & Division Manager, Rosenthal & Rosenthal, Inc. The Factoring track brings together key players in the field and covers a variety of areas of interest to factors, including traditional, entrepreneurial and international factoring as well as human capital, tech trends and potential areas of growth. Technology – latest developments that have aided portfolio management, credit evaluation, on-boarding new business development, fraud prevention International Factoring – are US factors still hesitant to go global? If so, why, and what can be or are doing to expand? Talent – how are you building and retaining bench strength in portfolio, credit and business development? Do potential young candidates understand what factoring is? How do you build interest in a career in factoring? Capital Structure – is anyone doing something different in raising debt or equity capital for expansion? What are short- and long-term views on access to capital for factoring companies? The Legal track brings together senior leaders from the CFA legal community. General Counsels and top legal professionals from lender firms as well as independent law firms will compare perspectives on important legal trends affecting our industry. The President and CEO track brings together Senior Executives who lead the secured lending businesses for their respective companies. CEOs are given the opportunity to share ideas and best practices on critical issues with senior-level cohorts in the industry. This unique forum lets you build relationships while leveraging the collective experience of industry peers to tackle the complex problems facing your business. The 40 Under 40 is designed for 40 Under 40 alumni and YoPros who hold senior positions within their firms. This track is the perfect opportunity to engage with your peers and discuss challenges facing the next generation of business leaders. Featuring a joint session with the President and CEO track, this event also allows you the opportunity to network and brainstorm with today’s business leaders. With discussions on market information and the economy, this track is designed for senior executives from direct lending platforms, credit opportunity funds, business development companies and special situation lenders to provide an opportunity to discuss their experiences in such matters as fund raising, sourcing transactions, dealing with the ever increasing demands of sponsors and the market, competition and differentiation, working with banks, syndicating the credit, best practices for managing the business, strategies for growth and dealing with the downside when credits hit trouble. Managing a Private Debt Lender – A discussion of “best practices” for managerial issues for those in the private debt space as to such matters as originations and metrics generally. The Interface with Banks and Asset-Based Lenders. What makes it work and what are the challenges? Dealing with the “non-believers” in the split collateral/unitranche model at these institutions. Finding Growth. In view of the proliferation of private debt lenders, where is there opportunity? Healthcare, factoring, JVs with ABL, industry silos? Club deals with other institutions? Differentiation? Mark your calendars and Save the Date for this important roundtable event!